Officer Porter died when he was struck by a train. The 59-year-old victim was checking fishing licenses along the Weber River when he stopped to talk to two men near Stoddard. As a train approached, Officer Porter stepped from one set of railroad tracks to another unaware that a second train was approaching from the opposite direction. He died instantly. Survived by his wife, six children, and 13 grandchildren, Officer Porter is buried in South Morgan Cemetery. 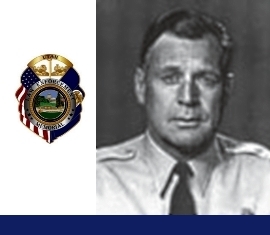 His bronze memorial plaque is sponsored by the Utah Conservation Officers Association.